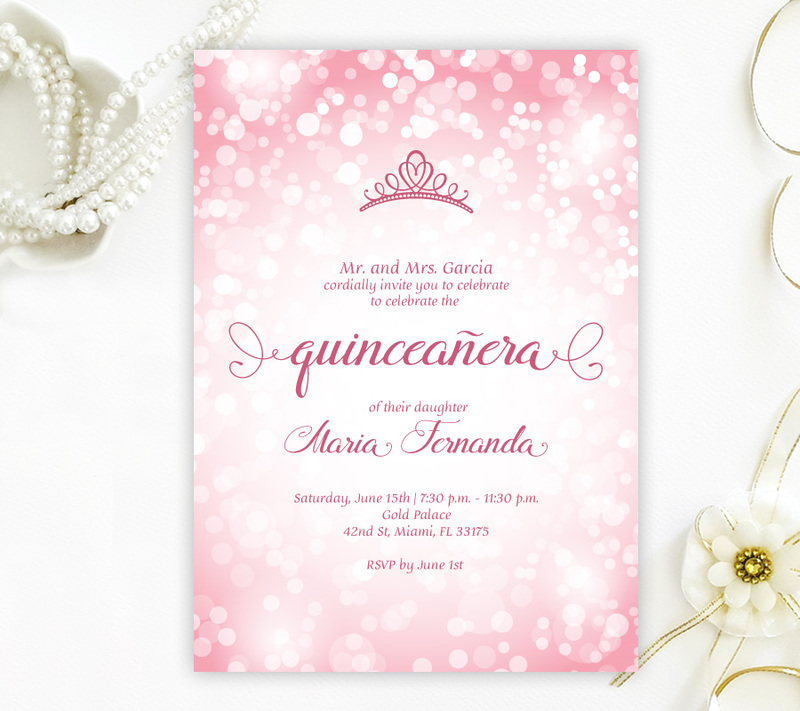 Dazzle your guests with our Pink Quinceanera Invitations. These beautiful invites are decorated with a pink gradient background layered with a sparkling dot pattern and elegant pink font. 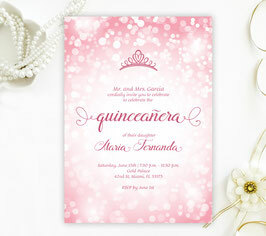 5x7 Quinceanera invitations with envelopes. Select the number of cards you need at checkout page (minimum order is 35).